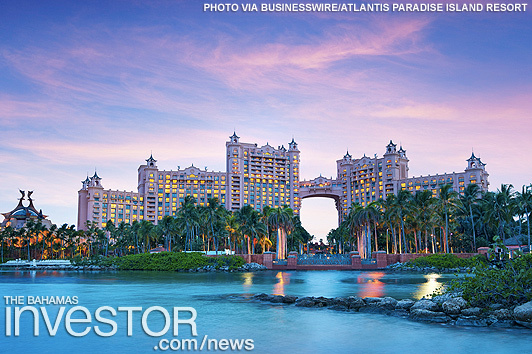 Atlantis Paradise Island resort has launched a fundraising campaign on YouCaring. Through this site, the resort will match all donations received dollar for dollar, with 100 percent of the proceeds going to The Bahamas Red Cross and to the Red Cross efforts in Florida, up to $250,000. The fundraising efforts will continue until October 31, 2017. PARADISE ISLAND, Bahamas–(BUSINESS WIRE)–While Atlantis, Paradise Island resort in The Bahamas was fortunate to not have been impacted by Hurricane Irma, the storm left devastation in her path across several family islands of The Bahamas and many areas in Florida. To that end, Atlantis has launched a fundraising campaign on YouCaring. Through this site, the resort will match all donations received dollar for dollar, with 100 percent of the proceeds going to The Bahamas Red Cross and to the Red Cross efforts in Florida, up to $250,000. The fundraising efforts will continue until October 31, 2017. Yesterday also marked the beginning of efforts to aid the residents from the impacted Bahamian islands, many of whom are staying in shelters on New Providence. The Atlantis team prepared and served hot meals at different shelters and will continue to do so as part of the recovery efforts. Families currently residing in the shelters have been invited to spend time at the resort‘s kid’s club, AKA, for games and snacks as well as with the resort’s guest activities team in daily events (both on property and at the shelters). Complimentary movie nights at the property are available for all impacted families to enjoy. “It is the resort’s number one priority to partner with the communities in and around The Bahamas and serve as a local support system to those whose lives have forever been changed as a result of Hurricane Irma’s devastation. Many of our guests have reached out asking how they could help support those in need after the hurricane. Our 7,500 associates hail from across the 700 islands that make up The Bahamas and many of them have family in areas affected by the storm. It is our duty and honor to serve all and to continue our lineage of hospitality in any and every way possible. With this support, we hope we can achieve a speedy recovery and help to get people back on their feet and into their homes as soon as possible.” said Howard C. Karawan, President and Managing Director of Atlantis. “It’s time to march together, forward, outward and sunward,” he adds. *Atlantis, Paradise Island has also made a separate donation to help in recovery efforts in Houston in the aftermath of Hurricane Harvey. The Ministry of Finance is hosting a series of seminars and meetings on its Public Financial Management and Performance Monitoring Reform (PFM/PMR) Project, September 18-20, 2017 at the British Colonial Hilton.